Cornelius native Jack Conard is known as the Town's local historian. Jack shared some of his photographs and stories for the Town's first historic exhibit, which ran from October 20, 2011 to November 12, 2011. Jack was often at the Oak Street Mill where the exhibit was held, to provide personal tours and stories for the many attendees. 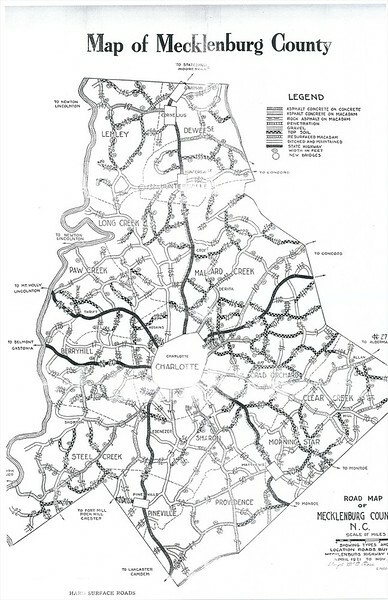 1921 map of Mecklenburg County.